Dashboard Warning Lights — What’s That all About? Today’s cars are actually the largest of our computers. Automobiles are loaded with electronics as well as sensors to assist us to far better keep an eye on what is taking place inside your engine — and to get in front of an issue before it gets worse. It can be hard to really understand exactly what your Dashboard is signaling. Dashboard warning lights can be indicative of many challenges — several of which can be severe. 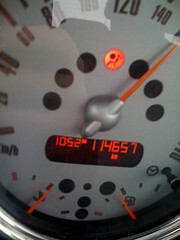 They are just one of the initial indicators of a challenge with your car, and definitely need to be followed up on. Understanding exactly what these warning lights indicate could assist you to prevent a break down and also possibly avoid more expensive repairs in the future. Here are the 7 most crucial car dashboard warning lights to keep an eye out for. Remember: Your dashboard lights may be a little different based on the model and make of your car. If you’re not sure just what a caution light in your auto is attempting to inform you of, consult your owner’s manual or an auto mechanic. If your check engine light illuminates, it’s important to stop by a service professional where an analysis can be done with a diagnostic scan, which will swiftly identify the area of concern. 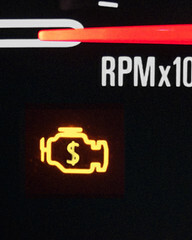 This light shows a challenge concerning your brake system, or a scarcity of brake fluid. Your brakes are just one of the most crucial safety features of your auto. It is easy to check your brake fluid; refer to your owner’s manual for guidelines if you need to, or visit a service technician. If it starts flashing on your control panel it is vital for your safety and security to have it looked into immediately. 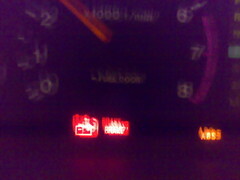 If this light comes on, it may mean a challenge with your power steering system. If your power steering system stops working, then it will be much more difficult to turn the wheel, as well as become virtually immoveable at reduced speeds. This is dangerous, especially when you are driving at higher speeds and attempt a sudden lane change. Your vehicles airbags are a vital safety feature and also could even save your life if you were to have a wreck. If this caution light is lit up on your control panel, it shows that there is a breakdown with one, or even more, of your airbags. This suggests that in a traffic emergency the air bag could not release, or they might release arbitrarily when you aren’t expecting it, causing potential injury. Coolant is vital for keeping your car’s engine running cool. If not, the metal within would basically weld themselves together. If this light shows up on your vehicle’s control panel it suggests your engine coolant levels are getting low and you should add coolant. If your coolant levels get too reduced, or run out completely, you risk your engine getting too hot and creating a larger as well as more pricey challenge. If you are having issues with your cooling system, a service technician will certainly be able to help! The oil caution light will illuminate if your automobile’s oil temperature gets too warm, the oil level is low or the oil pressure is also low. Oil is just what keeps your engine lubricated. This warning light is essentially informing you of numerous circumstances where your oil is failing to lubricate your engine effectively. If your engine is not being effectively lubricated it could cause costly damage. You might see this caution light for a few seconds each time you activate your auto, however, it should shut off afterwards. If the light remains on, this indicates your car has a problem someplace in its electric system. This might suggest a problem with the alternator, battery, cables, or drive belt. If your automobile battery is not correctly charging, your automobile will eventually die and leave you stranded. Keep and Eye on your Dashboard Warning Lights! Sometimes referred to as ‘Idiot Lights,’ Dashboard Warning Lights are your first line of defense where it comes to your car’s functioning properly. They certainly should never be ignored. The only “idiots” are those that do.